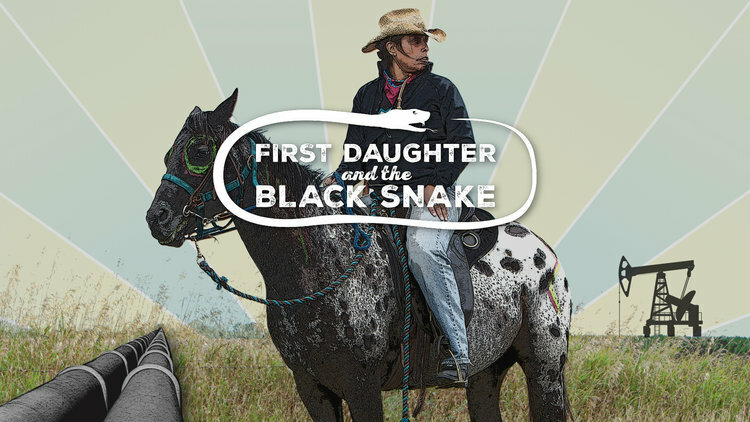 Indigenous leader, environmentalist, writer, founder of Honor The Earth and subject of the film FIRST DAUGHTER AND THE BLACK SNAKE. Forest ecology students at the Cranberry Lake Biological Station, a remote research station in the Adirondacks, lead us through an immersive meditation on experiential learning as a way to arouse relationships between humans and nature. Directed by Zoya Baker | 2017 | US | 17 MINS. Invisible Oregon is an art time-lapse piece three years in the making. 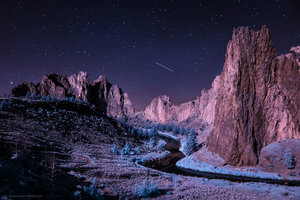 Created entirely with infrared converted cameras, Invisible Oregon reveals a landscape beyond the range of human perception that challenges how we process the world around us. Directed by Sam Forencich | 2016 | US | 6 MINS. A humorous, behind-the-scenes look at a tenacious group of friends as they seek, find, develop and climb Jeff’s World, a remote rock climbing route and destination located ten miles north of the Minnesota border into Canada, accessible only by boat and hidden deep in pristine wilderness. Directed by Brenda Piekarski | 2017 | US | 1 HR. 3 MINS. A wilderness explorer searches for the largest old growth tree still standing near Port Renfrew, Canada, a logging town on the brink of collapse. 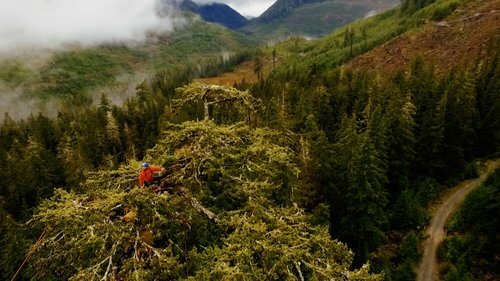 This cinematic adventure into the old-growth rainforests of British Columbia explores the choices faced by many forest communities: do you remain focused on dwindling timber profits or reinvent yourself into an outdoor recreation and tourist economy? Directed by Sean Horlor, Steve Adams | 2017 | CANADA | 24 MINS. 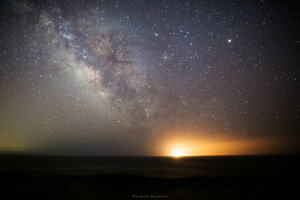 The night skies remind us of our place in the Universe. Imagine if we lived under dark night skies without light pollution – how might that that change us as people? Directed by Sriram Murali | 2017 | US | 3 MINS. Hawaii is a microcosm for both the world’s food problems and solutions. More GMO seeds are grown in Hawaii, per acre, than anywhere in the US. Because of that, Hawaiians are exposed to unknown amounts and types of chemicals. Yet just 200 years ago, Hawaiians had one of the most advanced organic farming systems ever documented. Island Earth champions Hawaiians seeking to re-establish and expand indigenous Hawaiians’ agricultural practices, combined with modern-day permaculture techniques - and those fighting corporate agriculture’s industrial stronghold of their islands and their health. Directed by Cyrus Sutton | 2017 | US | 1 HR. 4 MINS. At the age of 86 and shortly before his passing, Frank Cabot - influential gardener, horticulturalist, philanthropist and founder of the Garden Conservancy - opened his personal garden, Les Quatre Vents in Quebec, to a film crew for the first time. The film reveals his quest to create what is widely considered to be a horticultural masterpiece of the 21st century, and his innovative work to permanently protect other historically significant private gardens. Directed by Sébastien Chabot | 2017 | CANADA | 1 HR. 27 MINS. Water Warriors is the story of a community’s resistance against the oil and natural gas industry. When a Texas-based energy company began searching for natural gas in New Brunswick, Canada, a multi-cultural group of indigenous and white families united to drive out the company in a campaign to protect their water and way of life. Directed by Michael Premo | 2017 | CANADA, US | 22 MINS. The Eel River in Northern California is arguably the best opportunity for wild salmon recovery on the entire west coast. 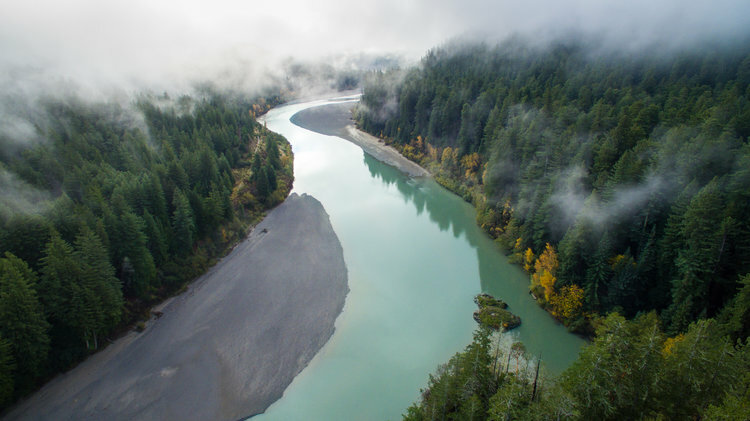 The river and salmon have weathered decades of over-fishing, abusive logging, catastrophic floods, droughts and a hydro power dam that diverts water out of basin. The Eel’s recovering wild salmon compete for water with the region’s multi-billion dollar underground cannabis economy and the wine industry. 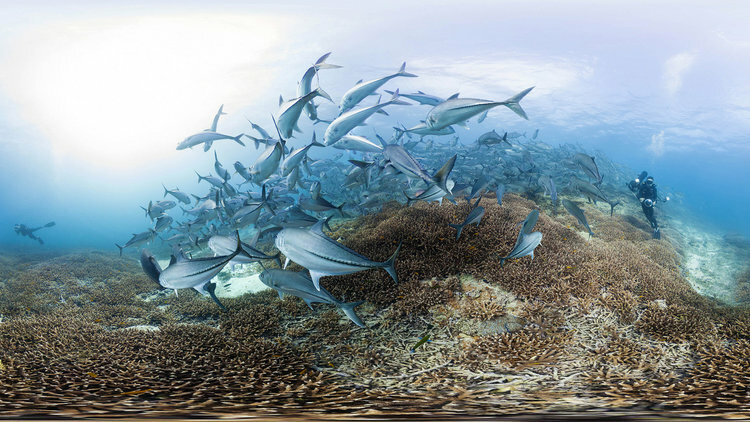 This film is rooted in the belief that we can live symbiotically with our watersheds and encourage both a river’s recovery and economic future. Directed by Shane Anderson, North Fork Studios | 2017 | US | 68 MINS. A neo-noir mystery set in the early 20th century about a private detective’s uncovering of corruption, lust, greed and murder - all born out of the political struggle for control of California’s water supply. Nominated for eleven Academy Awards and winner of the Oscar for Best Screenplay, the film is often considered an American cinema masterpiece. 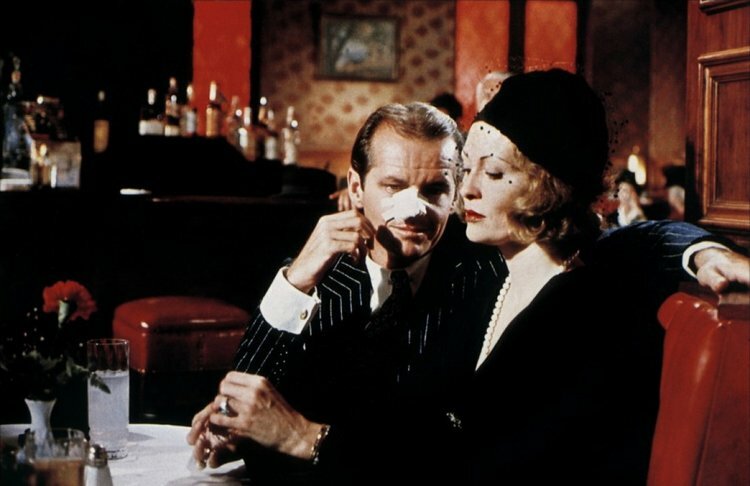 Starring Jack Nicholson and Faye Dunaway. Directed by Roman Polanski | 1974 | US | 2 HRS. 11 MINS. 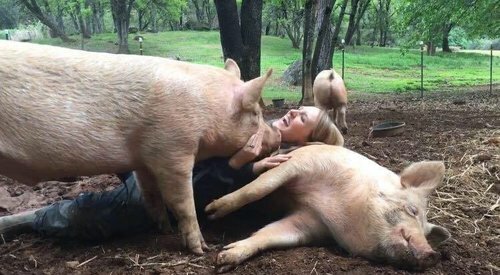 A joyful, non-graphic view into the lives of rescued animals and the unbridled compassion of the people who create farm animal sanctuaries. The rescued farm animals, simply by being who they are, are changing lives, lifestyles, and beliefs on both sides of the fence. The humans, many of whom dramatically altered the course of their lives because of a connection with a farm animal, are dedicated beyond words. Directed by Naomi Sophia Call and Loghan Call | 2017 | US | 1 HR. 5 MINS. Dredge mining on the Middle Fork John Day River turned the river into a ditch-like channel, lacking habitat and function. From 2011 – 2016, over two miles of salmon-bearing streams were restored to benefit fish and ecological processes. Directed by Michelle Alvarado | 2016 | US | 8 MINS. The concept of SILA – a term that encompasses weather, balance and consciousness – frames a story in the world’s northernmost inhabited Inuit village within the Arctic Circle, in Greenland. As international polar scientists on Greenland’s Inland Ice Cap track the effects and far-reaching consequences of the warming Arctic, these drastic changes in weather patterns are also impacting the Inuit’s centuries-old practices of subsistence living. Filled with gorgeous cinematography and intimate views of the humans on the frontlines of climate change – SILA explores the Greenlandic idea that weather acts as the conscience of nature. Directed by Corina Gamma | 2015 | US | 1 HR 10 MINS. Jeff and Angela dropped out of college to attend the “school of life” - in a patch of spectacular wilderness tucked between a glacier and the Gulf of Alaska, seventy miles from the nearest outpost. Directed by Dave Weich, Sheepscot Creative | 2017| US | 22 MINS. Citizens from Cowlitz County, WA and the conservation nonprofit organization Columbia Riverkeeper, advocate for the Columbia River by opposing the building of the world’s largest natural gas-to-methanol refinery in Kalama, WA. Directed by Balance Media | 2017 | US | 4 MINS. Eeya is the Baka word for elephant, an animal that is an important figure in the lives of the indigenous Baka tribes of Central Africa. Baka father and son, Bosso and Gaston Andre, work in the National Park system as eco-guards to help protect elephants, knowing that protecting elephants protects their own people as well. Directed by Mariah Wilson | 2017 | US | 5 MINS. Traveling from different corners of the world, dancers meet in the Archipelago of the Azores, to create dance journeys that explore their dreams inspired by the lush forest and sea; sharing their gift of dance with each other, nature and wildlife. Directed by Gustavo Neves | 2017 | PORTUGAL | 14 MINS. A special presentation of the 1966 film classic, presented by Steven Wise, President of the NonHuman Rights Project. A portion of the show's proceeds donated to support the NonHuman Right Project, which works to secure legally recognized fundamental rights for nonhuman animals through litigation, advocacy and education. An evening of short films about women wilderness advocates. Presented in partnership with the Crag Law Center, the Mazamas and BARK. Follow the six adventurers of the Wolf OR-7 expedition team, as they retrace the route taken by the GPS-collared wolf known as OR-7. OR-7 was born in NE Oregon and in 2011 left his pack and dispersed south to find new territory. He became the first known wolf in California in 90 years, and remains alive and wild. OR-7's travels, and his story, are an exploration of historic and modern-day human and wolf coexistence. (Director: Daniel Byers) Benefit film screening for our event's presenting partner, Oregon Wild. Look & See is a documentary film of the world as lensed through the works of farmer, writer and activist Wendell Berry. It revolves around the divergent stories of several residents of Henry County, Kentucky who each face difficult choices that will dramatically reshape their relationship with the land and their community. (Director Laura Dunn, Co-Director Jef Sewell) Presented in partnership with Literary Arts. In 2016, filmmakers Lindsey Grayzel and Deia Schlosberg (Producer, HOW TO LET GO OF THE WORLD AND LOVE ALL THE THINGS CLIMATE CAN'T CHANGE) filmed two of the five "#Shut It Down" climate activists who staged a direct action protest by manually turning off all pipelines carrying Canadian tar sands oil into the US, stopping the flow of oil. When the filmmakers were arrested and charged with the same felonies as the climate activists- charges that carried penalties up to 40 years in prison- it sent reverberations throughout the world of professional media makers, raising concerns about law enforcement’s encroachment on freedom of the press and about the impact on future media coverage of climate change. Now the two filmmakers have joined forces to bring Grayzel’s film about one of the #ShutItDown activists, THE RELUCTANT RADICAL to the big screen! (Filmmakers: Lindsay Grayzel and Deia Schlosberg) 100% of all box office proceeds donated to help finish the film! Presented in partnership with 350PDX and KBOO Community Radio. Promised Land centers on two indigenous tribes of the Pacific Northwest: the Duwamish and the Chinook Indian Nation, as they both fight for the restoration of treaty rights still legally denied to them by the US government. The film is an exploration of the inseparability of identity and place, the ways society and government look at tribal sovereignty, and a deep look at whose land we inhabit. (Directors: Vasant and Sarah Samudre Salcedo) 100% of all ticket sales donated to The Chinook Nation. Presented in partnership with the Sierra Club, Oregon Chapter, Oregon Physicians for Social Responsibility, Columbia Riverkeeper, Greenpeace Pacific Northwest, Climate Solutions and Tall Firs Productions.